If there's one person who's benefited from the new administration it's Stephen Colbert (although he would be first to admit he'd prefer that the result had been different for democracy's sake), as his late-night ratings on CBS have skyrocketed with a constant skewering of Donald Trump and his unsuccessful and controversial inaugural months in office. 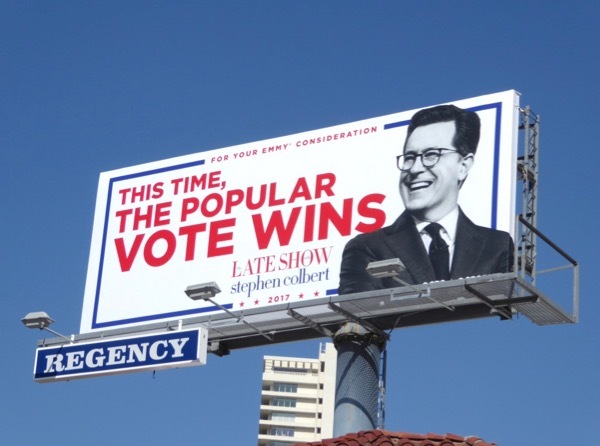 This patriotic Emmy consideration billboard for The Late Show with Stephen Colbert does its very best to mock the Liar-in-Chief poking fun at him losing the popular U.S. vote to Hillary Clinton and was snapped above West Hollywood's Sunset Strip on May 8, 2017. 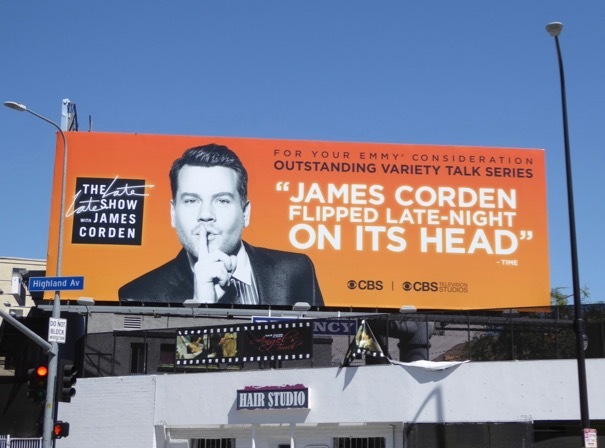 Another contender hoping to be in the running for Outstanding Variety Talk Show this Emmy season is The Late Late Show with James Corden. 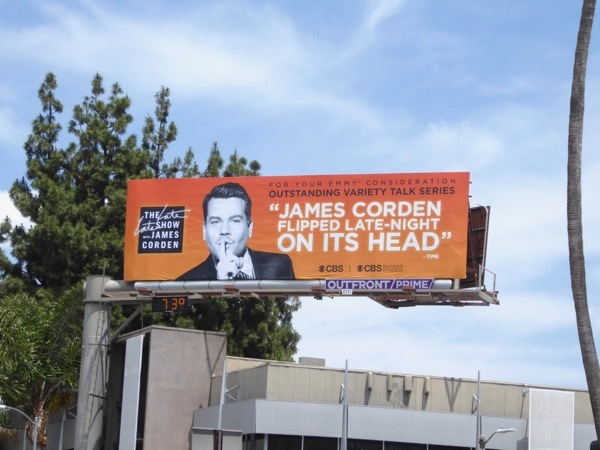 Carpool Karaoke with the music industry's biggest icons and Crosswalk Theatre with A-List Hollywood stars have really helped British talk show host James Corden flip late-night entertainment on its head. 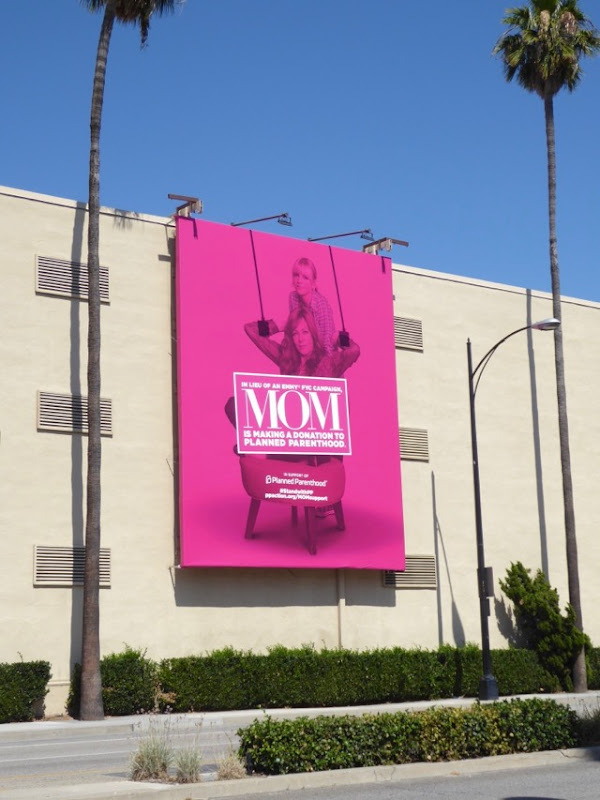 These vibrant orange Emmy consideration billboards were first spied above Ventura Boulevard in Studio City on May 8, then later along Highland Avenue on May 13, 2017. 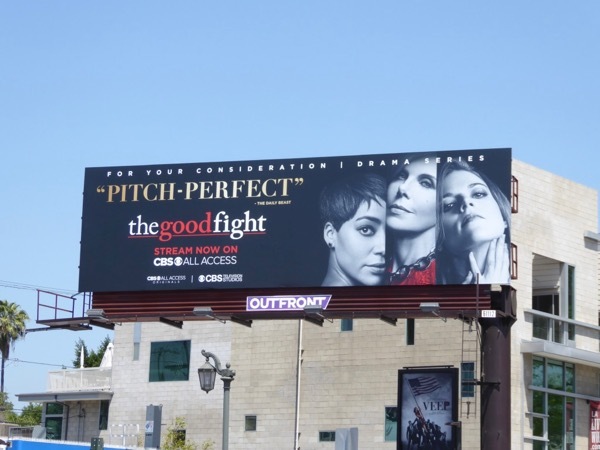 CBS helped kickstart its original content offering on its new streaming service, CBS All Access, with the new spin-off from The Good Wife, The Good Fight earlier this year. In the legal drama Christine Baranski's 'Diane Lockhart' is forced to start afresh after a Ponzi scheme decimates her fortunes, joining forces with Cush Jumbo's 'Lucca Quinn' and Rosie Leslie's rookie lawyer 'Maia Lindell'. 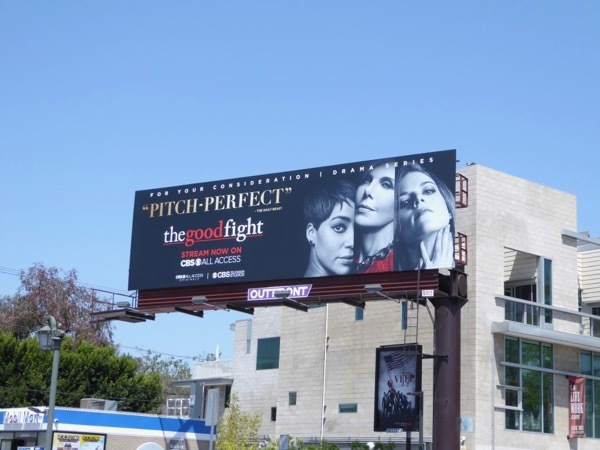 This Emmy consideration billboard for the debut season of the show was photographed at the busy intersection of Highland and Melrose Avenues on May 11, 2017. 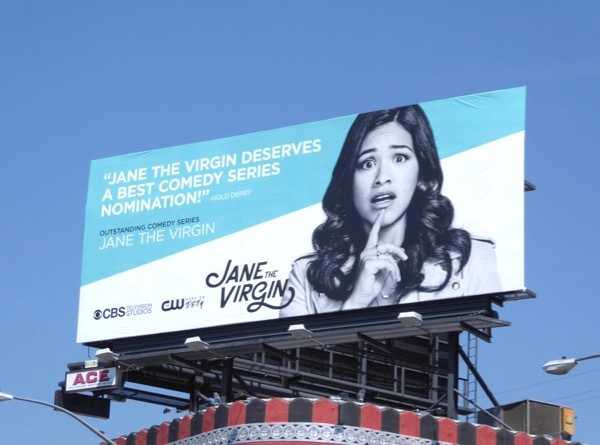 And finally, comedy series Jane the Virgin may air on The CW but CBS Television Studios has a hand in its production. The show now in its third season continues to follow the exploits of a young Catholic Latina woman who found out she had been artificially inseminated by mistake and decided to go through with the pregnancy. 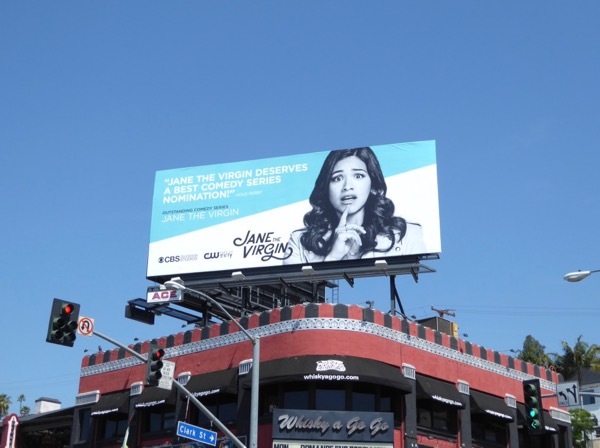 This Emmy consideration billboard for the comedy and its star Gina Rodriguez was captured above the Sunset Strip's Whisky A Go-Go club on May 22, 2017. Let's see if any of these CBS drama, late-night talk shows and comedies garner Emmy nominations this season when they are announced on July 13, 2017. 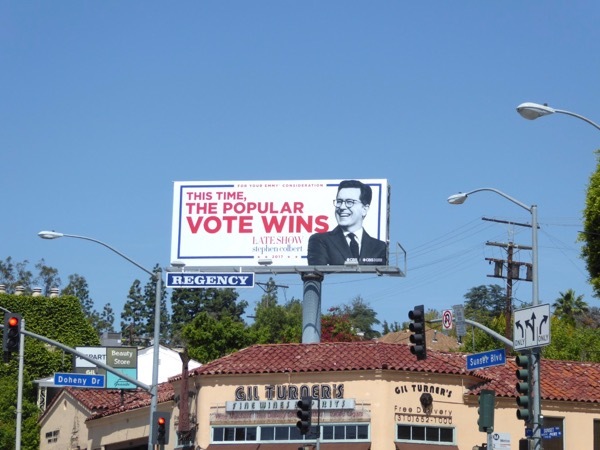 UPDATED: Here's also another ad creative to support James Corden's Emmy chances, spied above Cahuenga Boulevard and Riverside Drive on June 15, 2017. 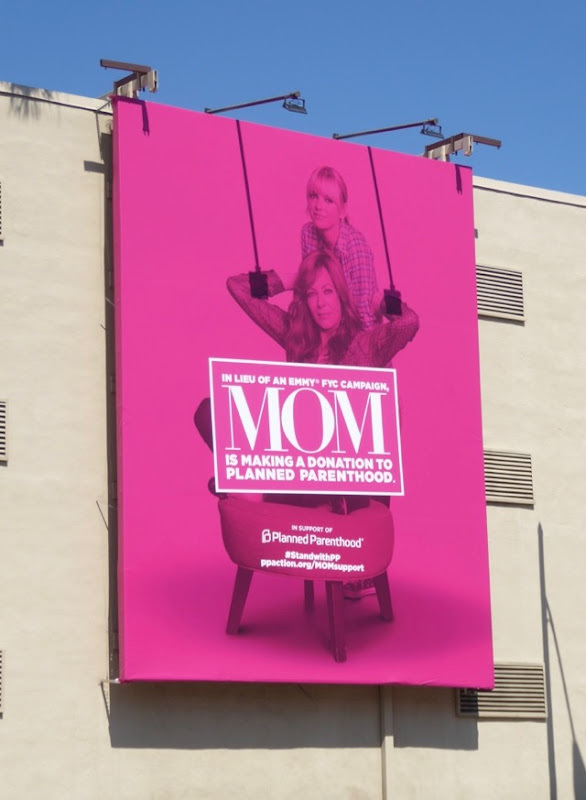 UPDATED: Here's also an important billboard for CBS sitcom Mom, who in lieu of an Emmy FYC campaign this year for the show's fourth season donated the $250,000 budget to Planned Parenthood instead to ensure that women in America continue to have access to essential breast exams, cervical cancer screenings, STD checks, HIV tests and birth control. 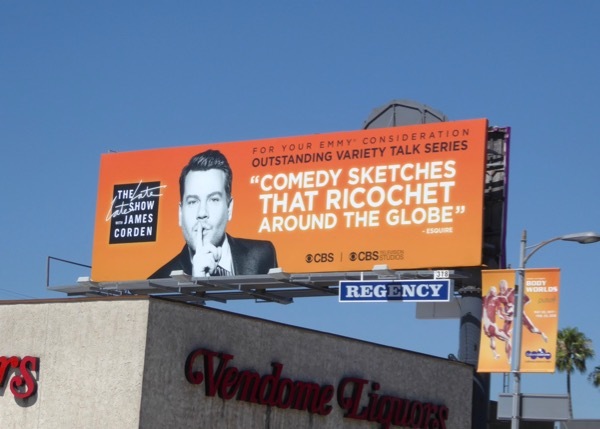 This amazing billboard was photographed along Olive Avenue at Warner Bros. Studios in Burbank where the comedy is filmed on July 2, 2017. Not only is that a wonderful charitable gesture and an awesome middle finger to the current draconian administration, but it also makes for some cool PR too.